Jeffrey Cohen | The Cohen Law Firm, P.C. Prior to forming The Cohen Law Firm, P.C. in 2003, Mr. Cohen spent five years with the national public accounting firm of Deloitte & Touche. Mr. Cohen was a tax manager and spent time in their Detroit, Michigan; Denver, Colorado; and San Francisco, California offices. He also spent two years at a tax boutique accounting firm based in Denver, Colorado which specialized in providing tax and accounting services to closely held businesses. Mr. Cohen’s practice includes personal tax and estate planning for individuals and their families, business formation and succession planning, and tax compliance services. 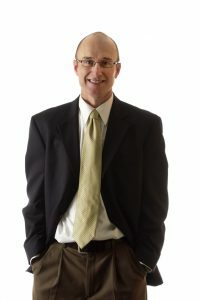 In addition, Mr. Cohen specializes in tax controversy services which includes representation of business and individual clients in front of a variety of taxing authorities including the Internal Revenue Service, Colorado Department of Revenue, Colorado Department of Labor and various county and municipal authorities. Mr. Cohen is a licensed attorney in the state of Colorado. He is also a Certified Public Accountant licensed in the state of Colorado. In addition, Mr. Cohen is licensed to practice before the United States Tax Court.